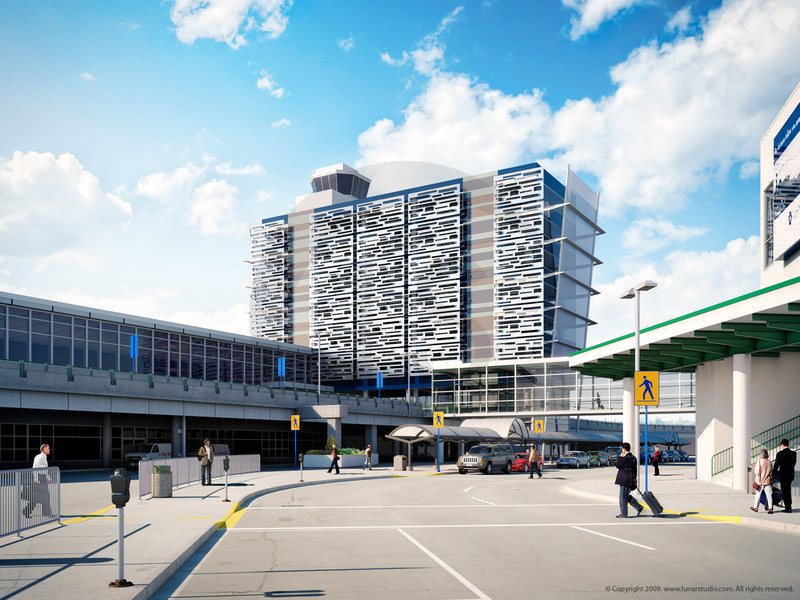 Architectural Rendering Services for 3D Visualization. 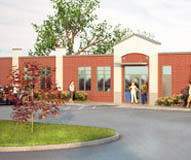 LunarStudio's exterior visualizations are often used for marketing needs, presentations before zoning boards and committees, planning, and other pre-construction feasibility studies. 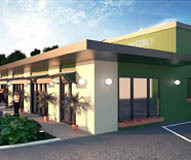 Our 3D rendering and 3D visualization services help save significant development and construction costs. 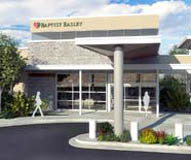 Our images also help generate an early revenue and interest for marketing campaigns. 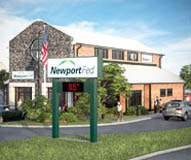 Architectural rendering of an office building and courtyard. 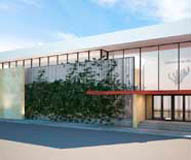 OCI III by Opus West Construction Company. 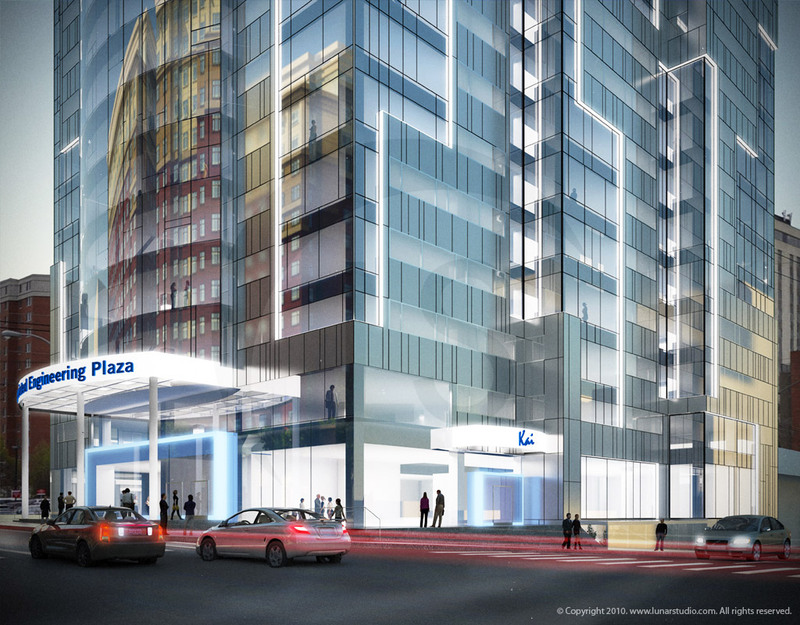 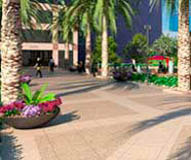 A courtyard architectural visualization of OCI III office building for Opus West Construction. 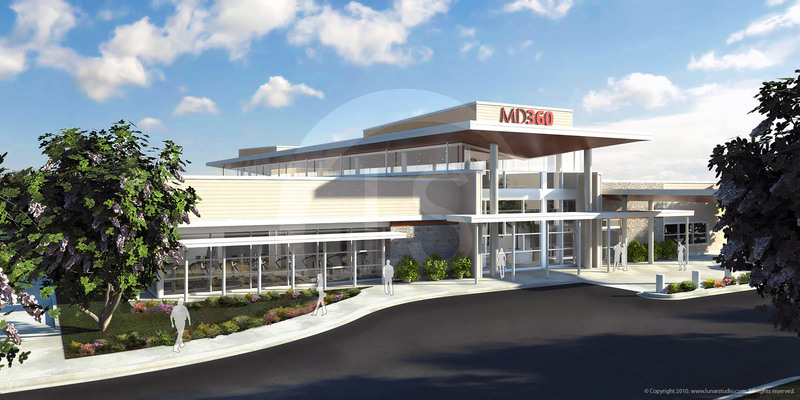 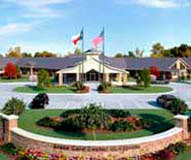 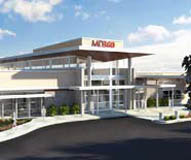 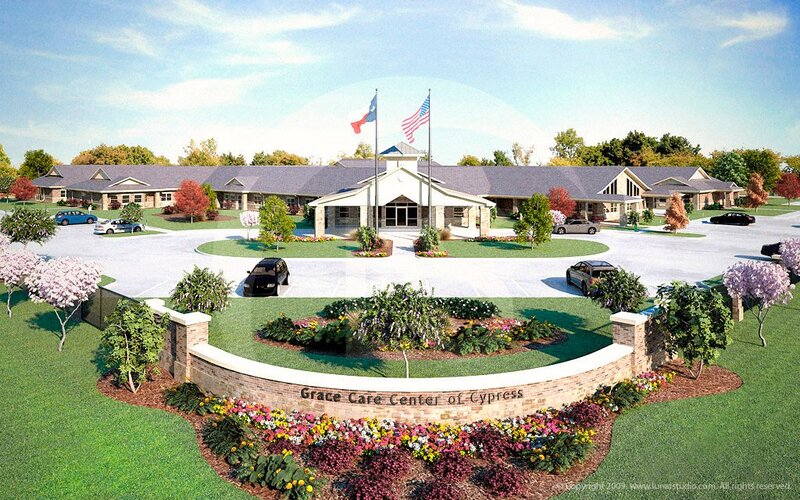 Cypress HMS Healthcare facility architectural rendering for HMS Healthcare in Texas. 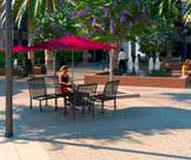 Miami-Dade Wolfson college campus renderings and renovation by Corzo Castella Carballo Thompson Salman, P.A. 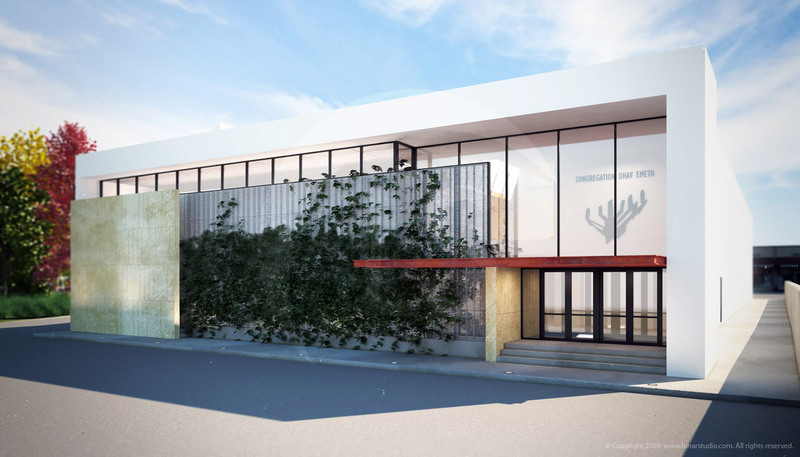 Synagogue architecture and design by Murdock Young Architects. 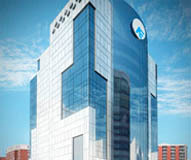 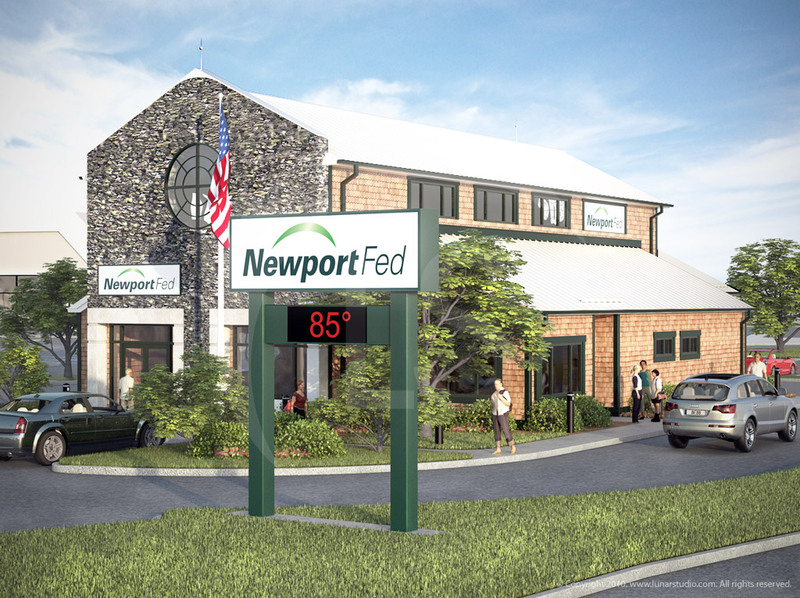 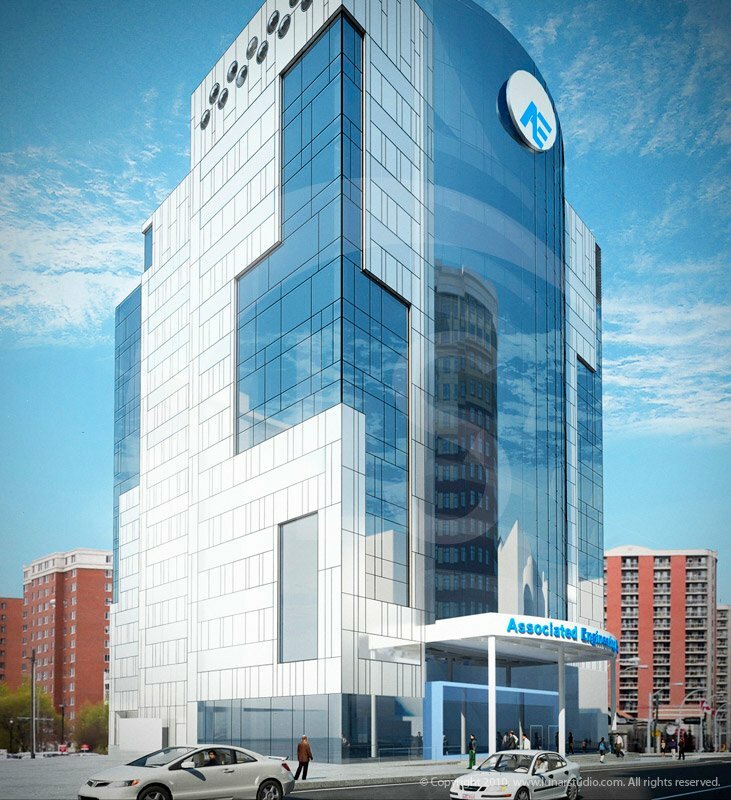 Architectural rendering of a bank by Lunarstudio and design by Strategic Designworks. 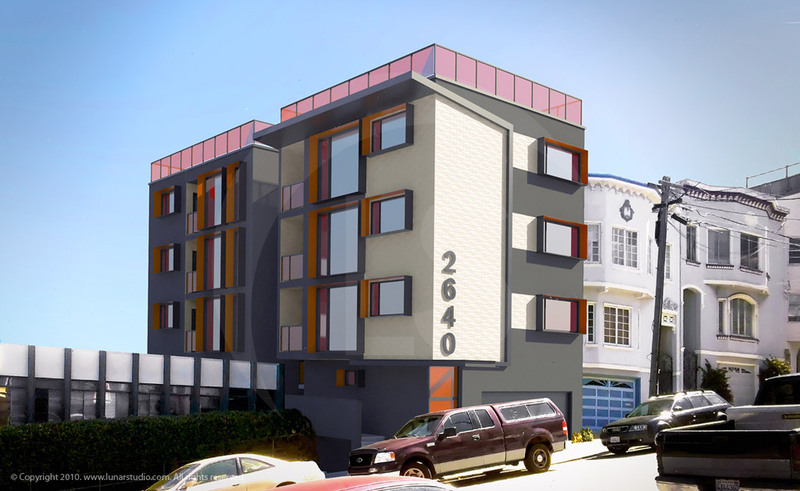 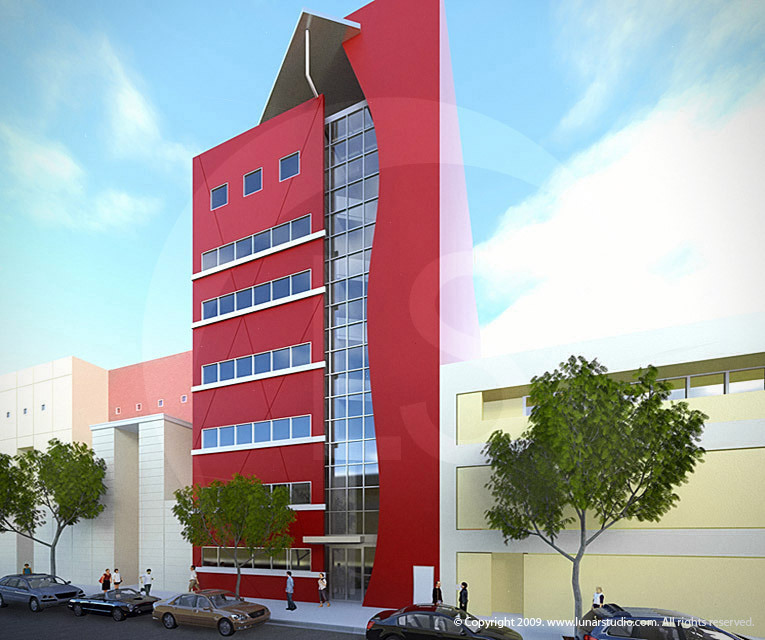 Garden Street building exterior renovation and design by Strategic Designworks. 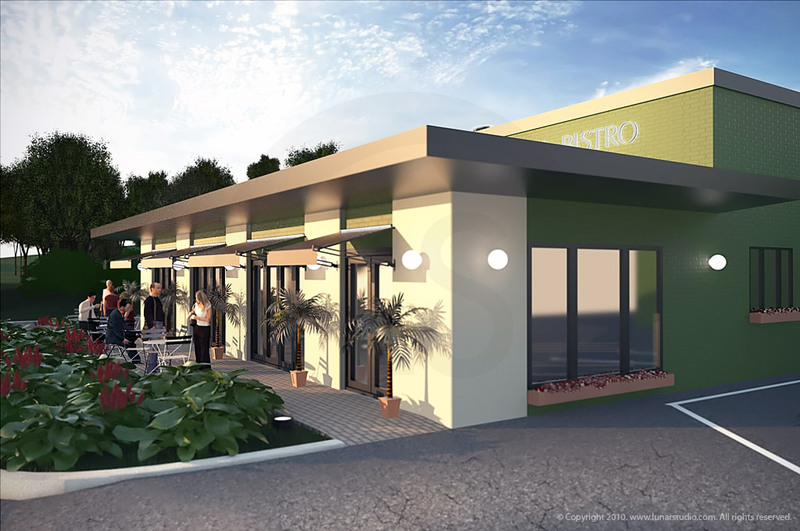 Pronti Bistro restaurant rendering and design by Murdock Solon Architects. 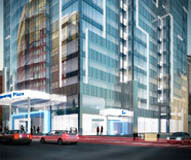 Skyscraper drawing of Associated Engineering by Lunarstudio and design by Manasc Isaac Architects. 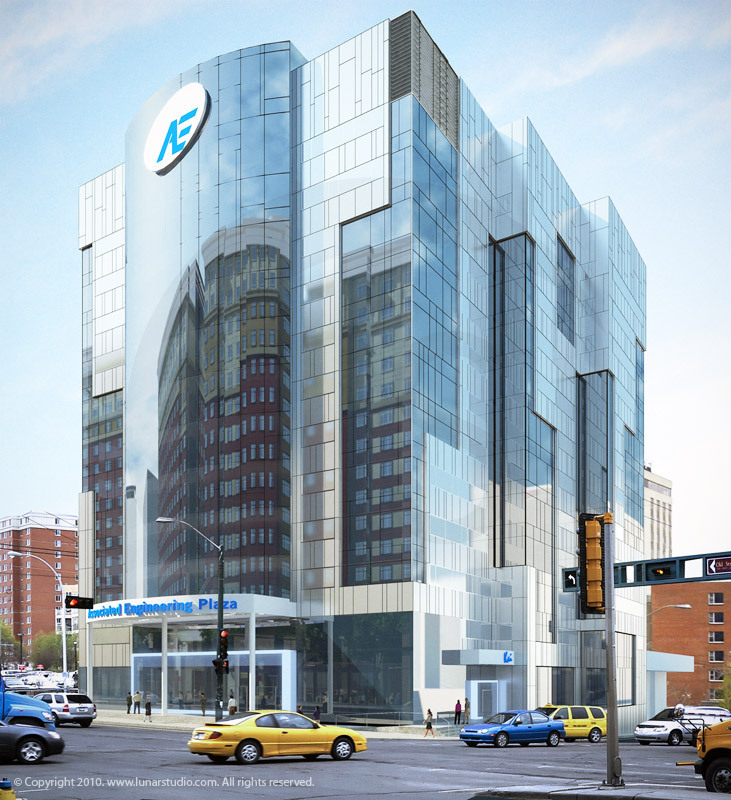 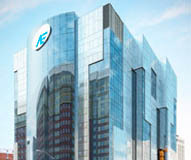 Skyscraper rendering of Associated Engineering by Lunarstudio. 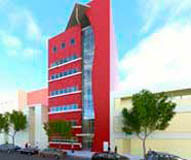 Associated Engineering building rendering by Lunarstudio and design by Manasc Isaac Architects. 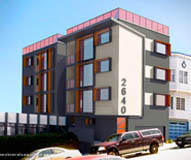 San Francisco condominium designed by Bevan Associates. 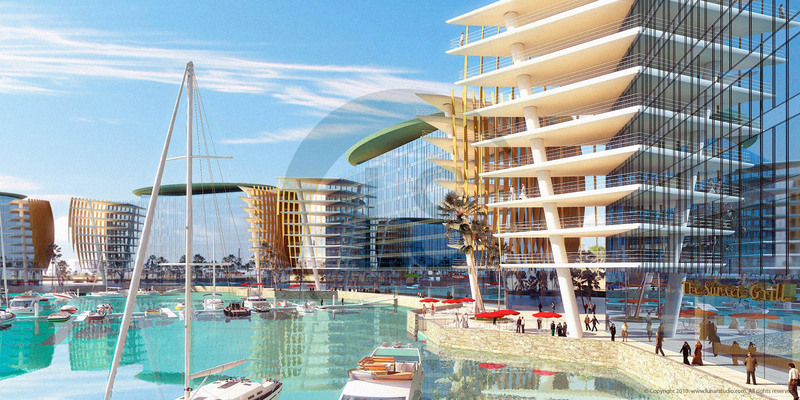 Al Marina, Abu Dhabi rendering by Rick Shands Architects. 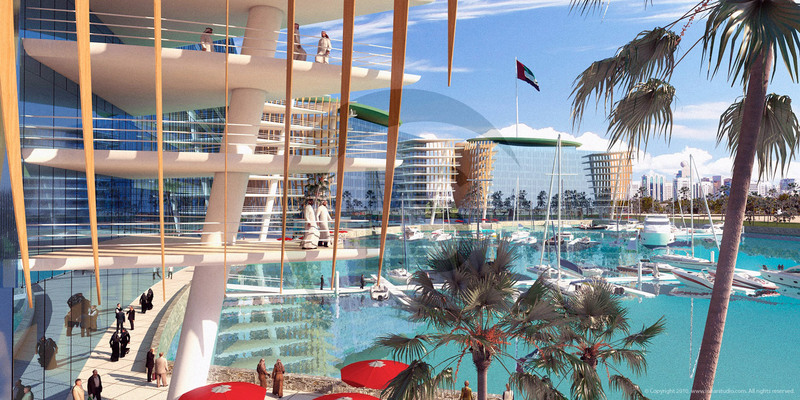 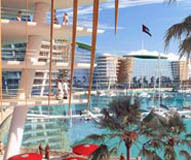 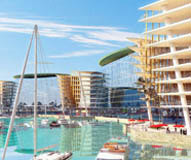 Marina rendering in Abu Dhabi. 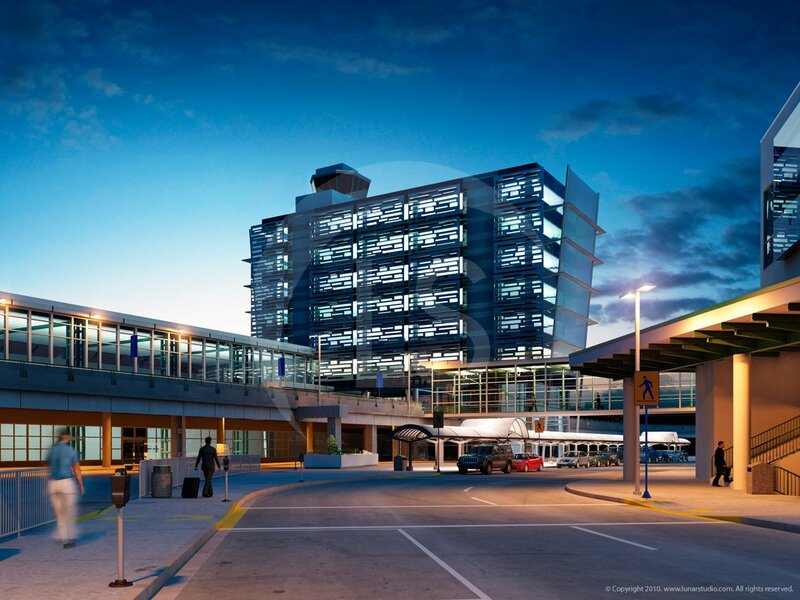 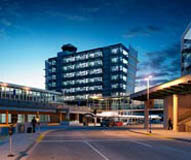 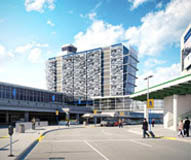 3D Airport model of Edmonton International Airport, Alberta, Canada. 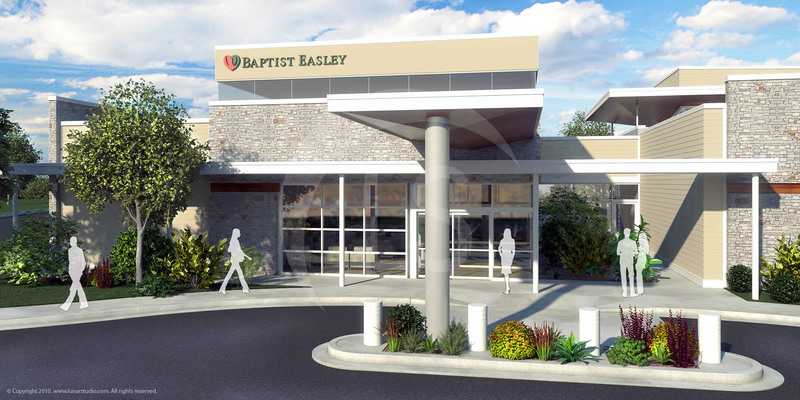 Hospital rendering of Baptist Easley.